JCO can combine company event with cross cultural learning, focusing more on the social, relationship building aspect of working together. This can greatly improve the integration of local and Japanese staff while raising cultural awareness within your company or group. A more relaxed atmosphere allows for increased exchanges among Japanese and non-Japanese staff, which can in itself improve communication, confidence and morale. Once the team is reinforced, they work better together. In order to improve the understanding and collaboration of non-Japanese colleagues with their Japanese colleagues in Japan, JCO organized an evening around Japanese business culture for a team of 20 non-Japanese colleagues. 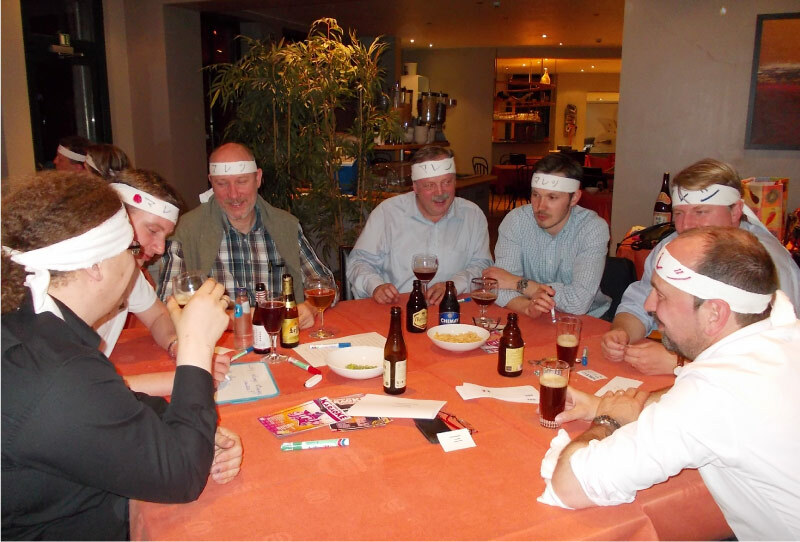 A dinner was combined with a mix of intercultural sessions and team games, with karaoke at the end. A European production site of Sanofi Aventis was to produce drugs for the Japanese market. This new opportunity brought with it many new processes in order to meet Japanese quality standards, pass inspection by the Japanese health authorities and gain access to the market. Sanofi-Aventis contracted JCO to raise the employees’ awareness of Japanese business culture and its implications for selling to Japan and ensure their voluntary compliance. After talking extensively with HR, JCO surveyed the employees to identify key challenges and developed a two-day program to provide solutions and meet their objectives. The combination of cross cultural learning and team building activities took place in a castle and set the right tone for a successful team retreat.